Use the form below to schedule a call back from your local Area Director. To Speak With Us Call (301) 232-3888. Club Z! of Frederick & North Montgomery is operated by Yan Managean, proudly serving Adamstown, Ballenger Creek, Barnesville, Boyds, Buckeystown, Clarksburg, Damascus, Darnestown, Frederick, Gaithersburg, Germantown, Ijamsville, Laytonsville, Linganore, Middletown, Monrovia, Montgomery Village, New Market, North Montgomery County, Urbana, Walkersville and more. Our team of tutors near you are devoted to ensuring students achieve their fullest academic potential, particularly students with learning differences. We believe that weekend and after school tutoring received in the privacy of your own home means the student receives individual attention in an environment in which they feel safe, secure and free from the distractions of a classroom. The advantages of learning in home versus traveling to a learning center are dramatic when you compare the convenience, affordability and quick results gained through in-home and online tutoring. We believe all students can be academically successful. Though, sometimes it takes the extra step of involving a talented, caring tutor to reach the goal. Our Club Z! tutors in Frederick & North Montgomery are selected for their exemplary commitment to hard work and their dedication to education. We carefully pre-screen highly qualified individuals who provide specialized assistance in any academic subject. Our goal is to equip individual students with the tools and skills they will need to reach their true potential. We interact directly with our parents and the classroom teachers to ensure solid, timely results. Call us today for caring, personalized service! We will help your child achieve academic confidence and success! Sure, we may be biased, but we truly believe that no other after school tutoring services company cares as much about its clients, or goes to as much trouble to ensure their satisfaction and success as Club Z! Our personal touch is evident in everything from the initial consultation with you and your children to the placement of a perfectly matched tutors near you. This commitment to quality and academic success truly makes The Club Z! Difference. We are an academic solutions provider offering a customized learning program for each and every student. We have learning programs to fit any family’s needs and preferences – including in-home, online, on school campus, at the library in a small group, and more! Our tutors in Frederick & North Montgomery are thoroughly screened and background checked prior to hiring. Through our proprietary “Z! Tutor Match” system, we go to great lengths to match them with students based on personality, learning preferences, and academic strengths and weaknesses. And with our “Z! Guarantee” you get the right tutor near you every time, guaranteed! Our programs provide results! Whether it’s our K-12 academic assistance programs, our proven SAT/ ACT prep programs, or one of our other proprietary curriculum programs like Learning Built to Last study skills and pre-K readiness, our students see growth in a matter of weeks! Our tutors in Frederick & North Montgomery are experts in their subject area(s) and are matched with your student based on his/her academic weaknesses. Many of our tutors near you are certified teachers, and all possess an educational degree and relevant after school tutoring experience. In addition, all are thoroughly screened and background checked prior to receiving a student assignment. Our tutor are matched with your student based on your scheduling preferences. Whether it’s after school, weekends, evenings, or during academic breaks, our tutors in Frederick & North Montgomery can accommodate even the busiest academic or athletic schedules. We match our tutors near you with your student based on complementary personality traits. The introduction of an encouraging third party with whom your student can relate can often restart a fresh flow of learning. Plus, the same tutor will teach the child every time so that rapport can develop. Our tutors in Frederick & North Montgomery are matched with your student based on his/her preferred learning style. Our tutors are effective because they understand the personality, interests, and learning style of their students. We believe that when a student is seen as a whole, both learning and self-esteem can flourish. Club Z! In-Home and Online Tutoring is the leading provider of after school tutoring for academic and test preparation purposes services in the United States and Canada for over 20 years. Our learning programs are customized for your family's unique needs, offering a tailored learning plan for each and every student. We are proud to serve Frederick & North Montgomery including Adamstown, Ballenger Creek, Barnesville, Boyds, Buckeystown, Clarksburg, Damascus, Darnestown, Frederick, Gaithersburg, Germantown, Ijamsville, Laytonsville, Linganore, Middletown, Monrovia, Montgomery Village, New Market, North Montgomery County, Urbana, Walkersville. Club Z! offers comprehensive In-Home Academic and Test Prep Tutoring from Pre-K to Pre-Med and everything in between! Residents of Frederick & North Montgomery will love our in-home tutoring services in the comfort and convenience of your home, on school campus, at the library or in a small group! Our online tutoring services are perfect to fit a busy schedule. 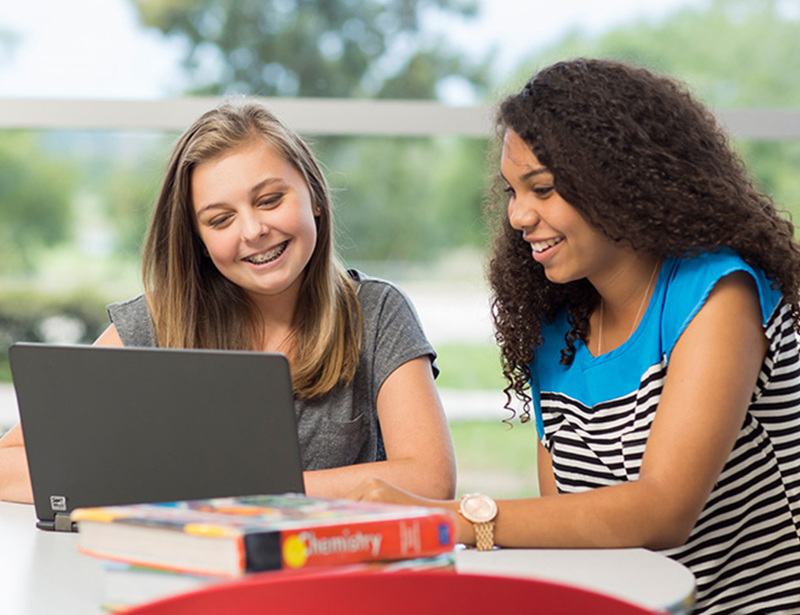 A good candidate for our online tutoring services is someone who receives regular in-home tutoring in Frederick & North Montgomery, but may need online tutoring on days when an in-home tutoring session isn't scheduled. This comes in handy if, for example, you have an exam on Tuesday and you need your tutor, but your scheduled in-home tutoring session isn't until Thursday. Some Club Z! locations offer packages with exclusively online tutoring services and others offer online tutoring services as part of the in-home tutoring package. Club Z! of Frederick & North Montgomery offers Online Tutoring and Test Prep for most subject areas and grade levels! ClubZ! Frederick & North Montgomery © Copyright 2019. All Rights Reserved.